I read… a lot. I’m usually a non-fiction kind of guy because I enjoy learning (I’m an odd-bird!). However, I do slip in some fiction every now and again just to change things up. With a five-year old daughter, I don’t get as much reading done as I would like, but I cram in the reading whenever I can. I also think that the Kindle E-reader is one of the greatest products on the planet. I have a ton of books on there, it’s not a strain on the eyes (much different from the screens on phones, tablets, etc. ), it’s extremely lightweight, and it also has a back-light for night-time reading. Maybe most important to me though, there are tons of free books out there that you can put on it. I get most of my books through my local library website – I just check the books out on there and it passes me over to Amazon which adds them “automagically” to my Kindle (look ma, no wires!). Ok, sorry about the rant, but I love that thing… if you don’t own a Kindle E-reader, get one. 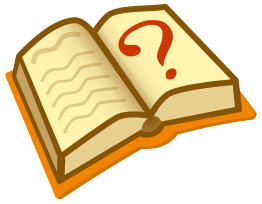 Now, let’s talk books and what we’ve been reading! and it was a real eye-opener for me. 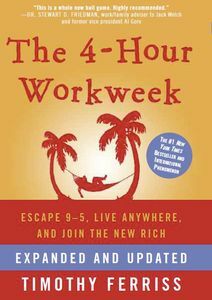 This was not Kiyosaki’s first book, but it really helped me understand that there is more to life than the “Time to Make the Donuts” life. 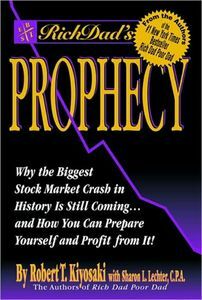 Although I read this probably shortly after it came out (in 2002), Kiyosaki also discusses his predictions about how the year 2016 could be the start of a big crisis – guess we’ll find out soon if he was right on this one. His disclaimer is that, even if he’s wrong, you should be doing what you can to set yourself up for financial success. Rich Dad Poor Dad was actually more of a marketing pamphlet for a board game he created (CASHFLOW 101). It’s gone on though to sell over 26 million copies and create an almost cult-like following. 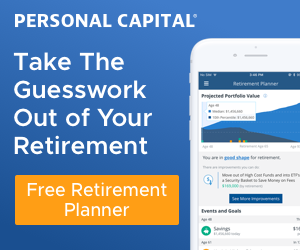 He discusses how to increase your financial well-being through wealth through smarter avenues such as real estate investing and starting and owning businesses. Some contend that Kiyosaki doesn’t give step-by-step instructions on how to get rich, but to me, that isn’t the point of his books. To me, the real value of his books is that general ideas are presented, along with the motivation, to be able to get out of the day-to-day grind. And those books have been the catalyst for my own path to financial freedom. I’ve probably read hundreds of financial and business books since then. I had taken a little hiatus to read some fiction books though and now was ready to get back to some good old nonfiction reading. I recently found a couple new books to borrow through the library on my Kindle. Here are my thoughts on this one… it was definitely an interesting read and a lot different from anything I had ever read before. Whereas, Robert Kiyosaki gets criticized for not providing specific steps, Tim Ferris tells you exactly what to do. Unfortunately, these steps didn’t really seem up my alley and are presented in a “just do it this way and it works” manner. Although the path worked for him and for some of his readers, it just didn’t click with me. It seemed to be a rather out-there way of doing things. Some motivational books really hit home for me and I love ’em. Others, maybe most, tend to turn me off completely and I just think they’re garbage. This one seemed to fall somewhere in the middle for me. I enjoyed the book, but mostly because it was different. However, if you got more out of this book than I did (as I guess a lot of people do), please comment below to give me some feedback. I’m only about 25% through it, but wow! This book is fascinating and, so far, has made for some really good reading. It’s not a how-to-get-rich book or anything like that. 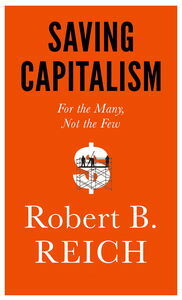 It’s a book about how capitalism made America strong, but over time, is starting to break-down and fail. Although I’m not done reading the book yet, Reich seems to be extremely well-spoken and an excellent writer. The topics in this book could easily be some dry reading, but that hasn’t been the case thus far. I’m really excited to continue reading this and will probably knock it out pretty quickly. Sam Dogen has a large following in the financial freedom blogosphere under his alias of Financial Samurai. 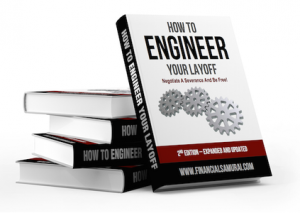 This eBook is roughly 150 pages and is designed to help you negotiate a large severance when leaving your career. I’ve been eyeing this up for probably over a year now, but the $85 price tag has kept me from jumping all over it… until this past week. With the good reviews from others in the early retirement realm, I decided it was time to give it a shot. I’ll let you know more once I read it. These are just a few books I thought I would throw out there – I would love to hear what you’re reading now or some great financial books that you’ve previously read! Thanks for buying my book. Please feel free to provide some feedback and areas for improvement. After 3 years of publishing the first edition to the world in 2012, I finally spent about 3-4 months updating to a second edition for 2016. I incorporated feedback from other people who successfully negotiated a severance, introduced another strategy, and fixed some errors. With enough feedback, I will create a 3rd edition for 2017! Thanks, Sam! Glad to hear that I got in on the second edition! 😉 I’ll probably do a full review on it once I read it – I’m very excited to dig into it! I just finished rich dad, poor dad and liked it. I am still a little wary of the author but overall it got me thinking and was a positive experience. The most important thing about the book, to me, was teach your children early about money and how to think about money. I also am considering his premise of not living in fear, as in my case, not wanting to leave my current job out of fear that I won’t have a guaranteed retirement and am unsure what to do with my working life. FD, I actually just posted on Showing Kids the Path to Financial Freedom earlier this month. I think that we all want our kids to have a better future (not just financially) so we do what we can to position them to head down the right path. I can definitely appreciate the fear that comes with things, but funny enough, as I’m typing this an old Bell Biv DeVoe song “Ain’t Nut’in’ Changed!” just came on the radio and blurted out the old saying of “No pain, no gain.” Letting fear paralyze you might keep you from happiness. I’ve looked back and wished I had gotten past the fear and went down the right path in my twenties and thirties… I’d be much further ahead today. And although money doesn’t buy you happiness, it can buy you independence to follow your dreams. Good luck in all you do!! Great book selections. 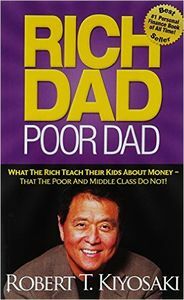 I read Rich Dad Cash Flow Quandrant but not his others, and it gave me a great understanding of where our income comes from. I learned that I want to be on the right side of the quadrant (business owner and investor). I also read 4-hour workweek. I feel like I got more out of it. While it was very specific, many of the approaches were outdated or not for me, but I took them as a learning for the big picture approach to business. Like how to put in hard work at the beginning in order to create passive income later. It turned out to be one of those eye opener type books for me, especially in terms of passive income. I read a lot as well, using fiction books to break up the non-fiction routine. I also like the e-readers, got a Kindle paperwhite recently. I’m reading real estate books now, focused on learning about buy and hold investing in rental properties, so I can formulate my approach. Thanks, Brian! I definitely agree that Cash Flow Quadrant was an eye-opener. 4-Hour Workweek was one I just really struggled with. I may need to read that again and see what I’m missing – everyone seems to love that one!